The weather has taken a turn for the worse. Saturday saw Cape Town experience one of the worst storms in a long while and on Sunday it hailed! You would never guess that a couple of weeks ago the sun baked down on our little garden making flowers bloom and buds turn green. 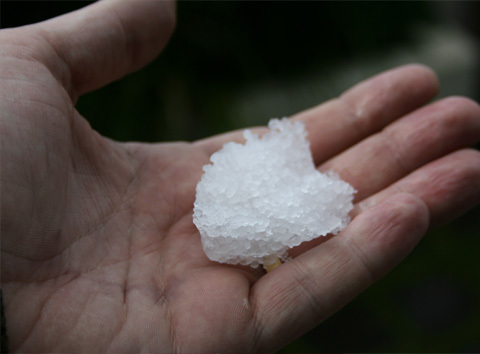 Since getting my new camera I cant resist photographing everything that happens in the garden – in the nick of time Alexis grabbed a fist full of the hail before it melted.